When it comes to care homes, making sure that everything is run smoothly and accordingly, is important. There are hundreds, if not thousands, of elderly people who are depending on you and your employees to take care of them. If you’re new to care homes or you’re looking to alter your care home for the better, then our events for care home owners are what you’re looking for. At these events, we will provide resources for you to take away and will also run a range of workshops that you can attend to find out more. If you’re a care home owner and you’re looking to find out more about what you can do, then attending one of our care home events is a step in the right direction. Rather than limit ourselves to one area, we run events all across the UK. There are currently 5 locations which we focus on. If you live near any of these places and are interested in finding out more information about care homes, there is no reason for you not to attend! On the other hand, if you aren’t able to attend any of these due to their locations, don’t worry. We are constantly looking to expand our ground so that we can provide these events for care home owners to as many people as possible. Why Attend an Event for Care Home Owners? There are many reasons for attending one of our events although the main reason is to learn about care homes. This can be an incredibly useful experience for people who are new to the care home industry or for anyone who is genuinely interested in finding out more about what they can do. Employer or employee, we welcome everyone. Are You an Experienced Care Home Owner? Are you someone who has experience in the care home industry and who is willing to give a 30-minute seminar? If that’s the case, we’re more than happy to let you do so! However, we ask that all speakers follow a few rules. Your seminar topic must be suitable to the care home industry. If possible, the seminar should allow time for questions from the audience. There should be no sales pitches or anything of the sort. If you’re happy with these rules and want to get involved, find out more on this page and complete the form which is provided. The more speakers that we have, the more information we can get out to those attending. 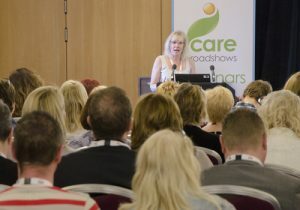 If you aren’t able to take the time out of your day to attend one of our events for care home owners, don’t worry, there are still plenty of ways for you to find out about the care home industry. When you subscribe to our newsletter, you will receive a lot of useful information on a regular basis delivered straight to your inbox. Whether you’re looking for some extra reading material or are genuinely interested in finding out more about what we have to offer, our newsletter can help you. If you’re looking to attend one of our events for care home owners or you are interested in finding out more about what we can offer you, get in touch with us today. The care home industry is one of the most important and so we take pride in doing what we do. You can call us up on 01425 838393, or you can email us at [email protected].